I don’t know how many people got a chance to actually realise how design can make a whole difference to how things look. While getting my diploma, I had the chance to do a few design modules, and I sure loved them to bits. Hey, designing over writing, any time! I first learnt about Bauhaus. A concept, a school, a design, a font, a simplistic nature. I was told to do a brochure based on Bauhaus, and unfortunately I’m not able to share it in soft copy because my computer erased all my data (back up your files regularly!). Doing the project made me realise how easy, yet difficult it was to learn the concept. Simplicity, design. Form, function. Three primary colours: red, yellow, blue. 3 shapes: triangle, rectangle (or square), circle. Add in two most basic colours, black and white, and you’ve got yourself a concept. my poster looked somewhat like this, except that instead of colour clashing, the words were in black. In another module, we were told to do a website based on the title “Journey”. I decided to do a journey on Bauhaus, as I was intrigued by its nature. I did my research, focusing on the timeline of Bauhaus, from when the school started, till it closed, the teachers, the types of art in school. It was the best decision ever. The design had to be kept simple, the work I was doing was something I was actually interested in and has a passion for. Hard work paid off, and I got an A for the project. It amazed me, how Walter Gropius could manage to come up with something so simple yet beautiful: Bauhaus. 1919: Bauhaus was founded by German Architect, Walter Gropius. Bauhaus was a school and combined elements of arts and design. 1930: Meyer stepped down due to pressure from the right-wing government. He was replaced by Ludwig Mies van der Rohe There was political instability in Germany, and Miles relocated the school to Berlin. 1933: The school closed down. How many buildings have we seen? And how many have been influenced by Bauhaus? 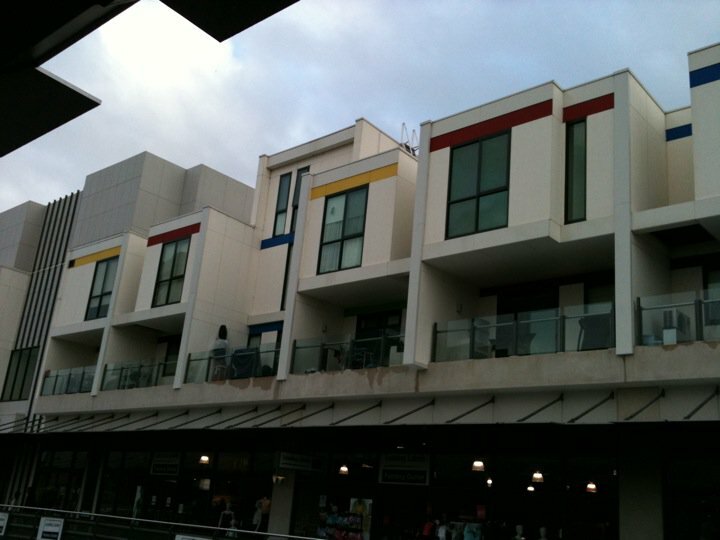 Here are a few images of architecture which have been influenced by Bauhaus. Photo taken by me at Docklands. Next time you see anything of interest, take a step, and think about what could have possibly influenced that particular design. It could be anything. From a vase, to a handbag, the interior of the house, brochures, the list goes on. I hope that there’s someone out there who loves Bauhaus as much as I do. I’d love to do a / go on a geek discussion / excursion with you! Put your hands up if you actually feel that fonts make a big difference! Personally speaking, I HATE Times New Roman. It’s a Serif font, which means letters come with squiggly bits at the end of every letter. It’s the standard font in the USA, and pretty much everywhere else, especially for reports. Here are some examples of serif fonts (in their own font). I typed them out and took a screenshot. I prefer sans-serif fonts! Cleaner, easier, prettier! 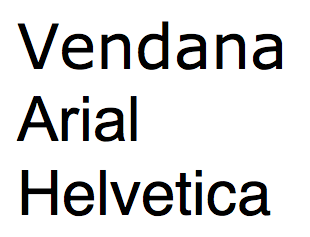 Arial and Helvetica are my personal favourites. Here are some examples of sans-serif (in their own font), which I typed out too. Does it matter? Serif, Sans serif? What’s the big idea? As long as it’s readable (unlike wing dings), it’s fine, right? It actually makes a difference. Serif is usually used for printed work, because the little lines and squiggles help make letters more individual, more recognizable. It makes each letter more distinctive. Sans serif, on the other hand, is better for online work. This sounds really technical, but printed words have at least 1000dpi (dots per inch), while online words has a dpi of less than 100. Because the resolution is smaller, it makes serif characters harder to read, due to its complex shape (lines and squiggles). FONTSPEAK: which font is the most used for brands? I won’t go on about the research of the most commonly used font, but here are some really recognizable brands using Helvetica. Clicking on the images opens in a new tab. All photos are from the web page itself. So the next time you look at notices, designs, or anything that uses lettering, stop and ponder if the font used helped to make reading better. (= If not, how else could the message be conveyed better? Ps: yes, I’m really glad my font layout in this blog is sans-serif.